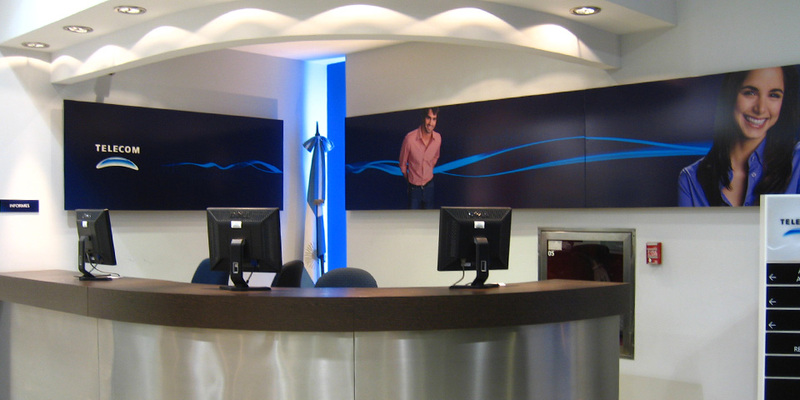 Aiming at changing the image of the Customer Service Centers, Telecom called in Arde to redesign the system of visual identification, signage and furniture. For the furniture, it was agreed that the design should be modular and functional, as well as impressive. 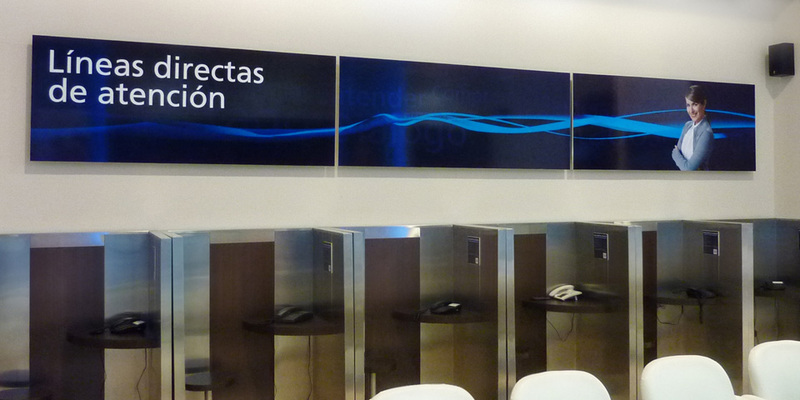 As a result, several brackets were set up for adaptable graphics in the 29 Customer Service Centers in the region. The graphic designer team also created a series of backgrounds as well as structure networks to use typographies. Finally, a modular visualization system was developed for product exhibition. 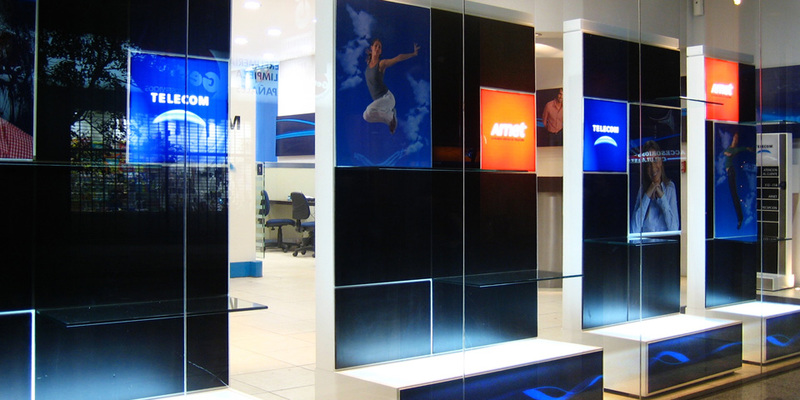 It was a system of display cabinets that matched the architectural design of the centers.